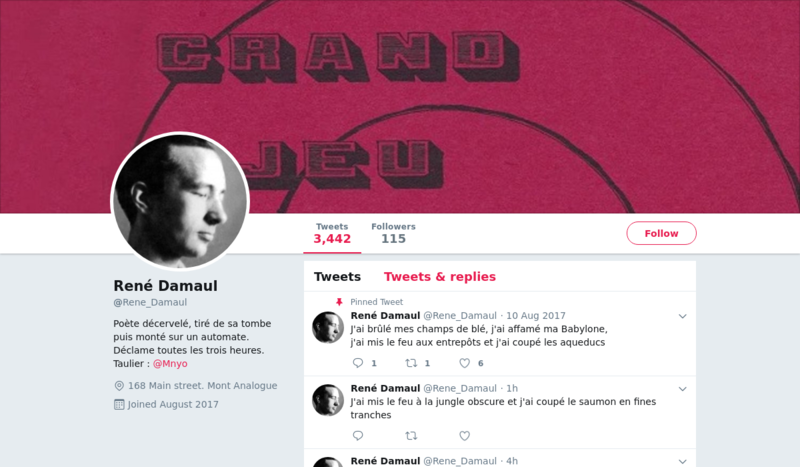 Poète décervelé, tiré de sa tombe puis monté sur un automate. 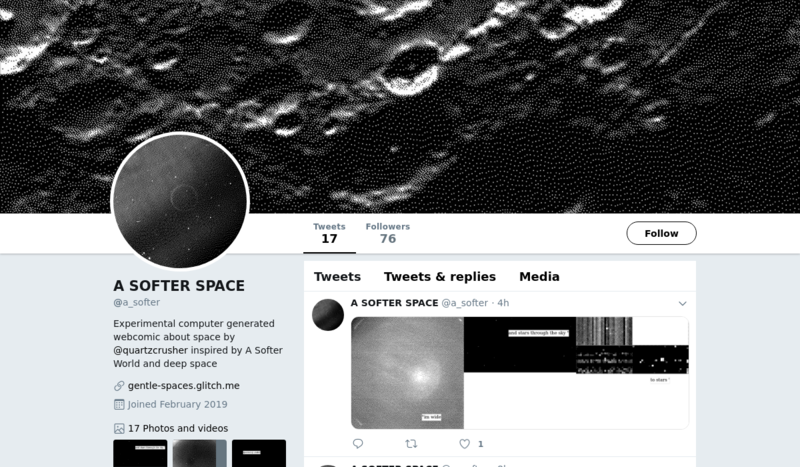 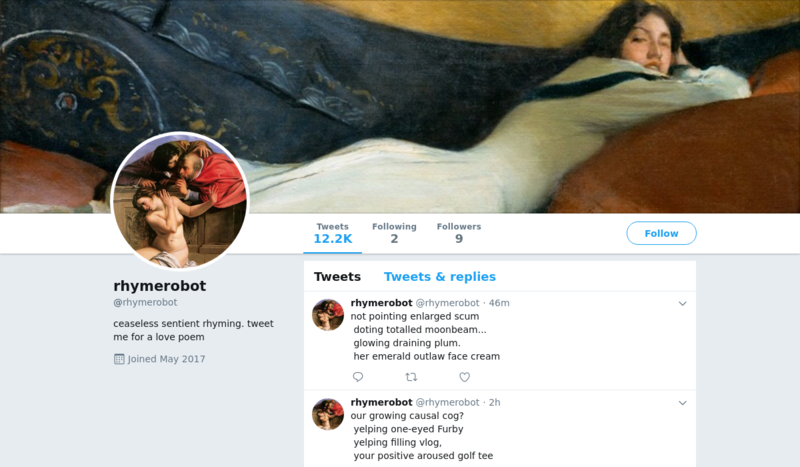 Robot poetry from the Moon. 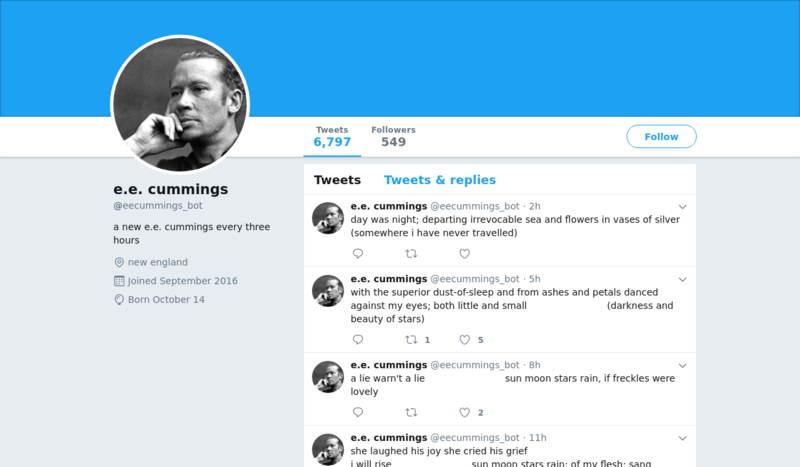 A bot to remember the Viking of Sixth Avenue. 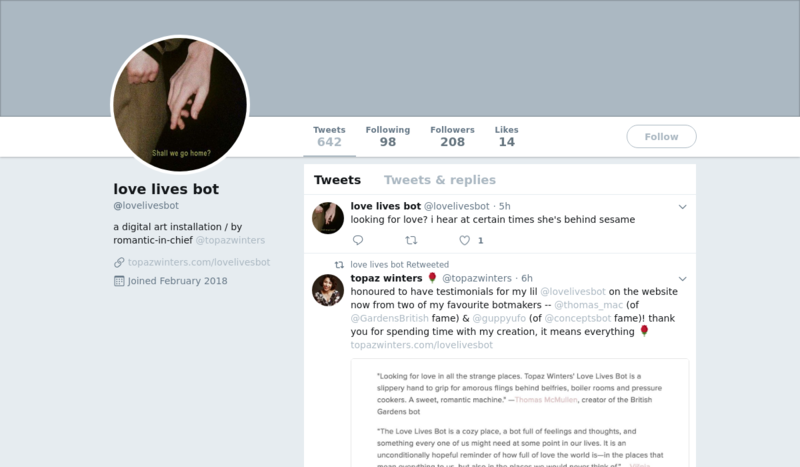 A tiny robot that tracks and shares past, present, and future locations where love resides. 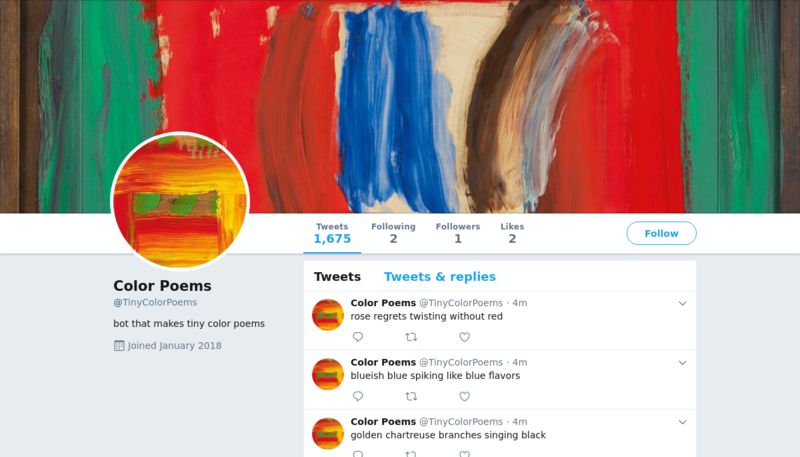 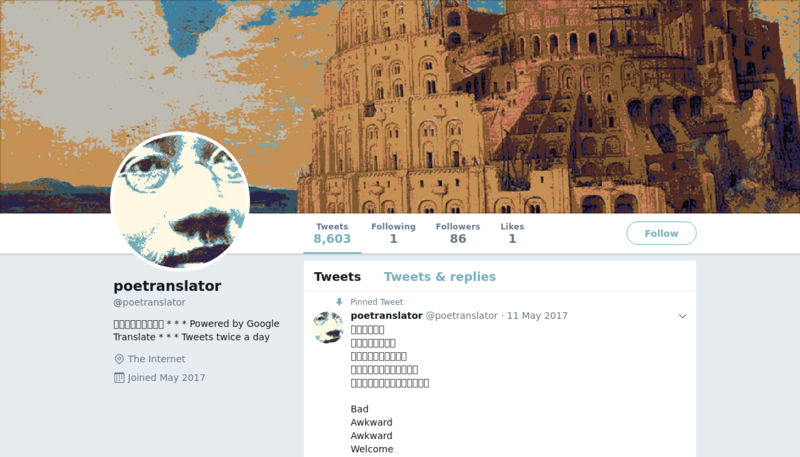 A bot that makes tiny color poems. 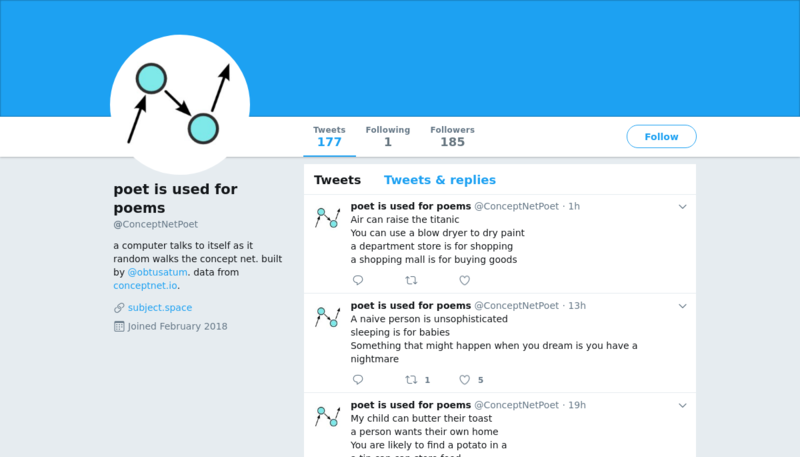 Reject the logic, reason, and aestheticism of modern capitalist society - read Dadaist poems instead! 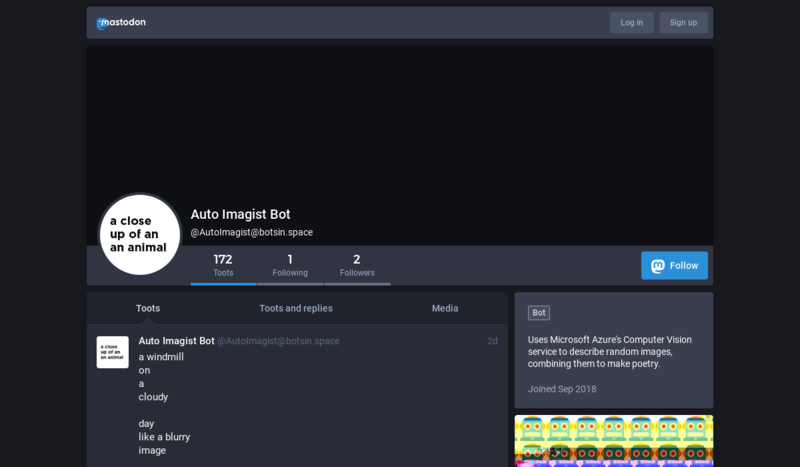 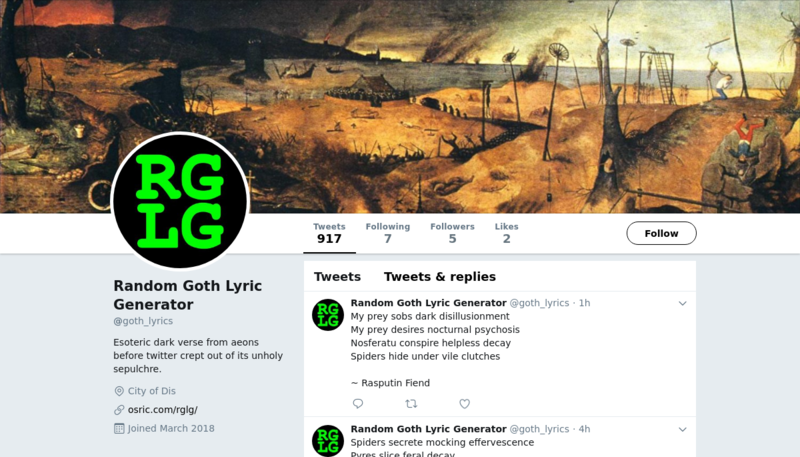 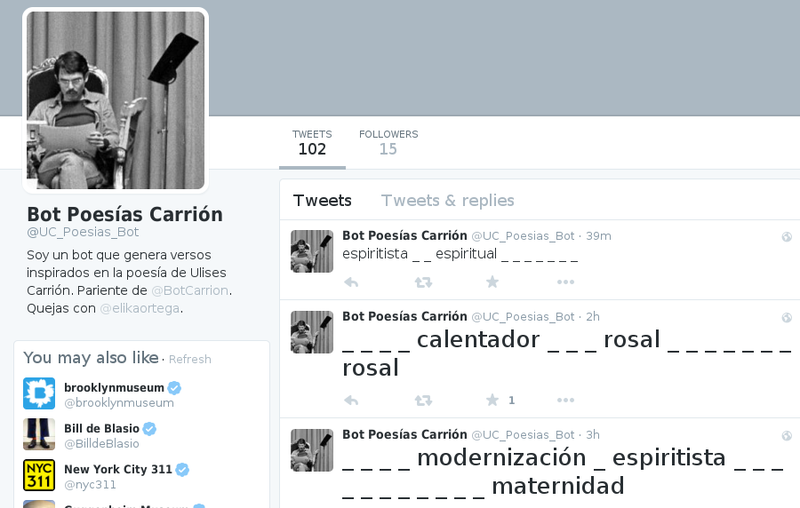 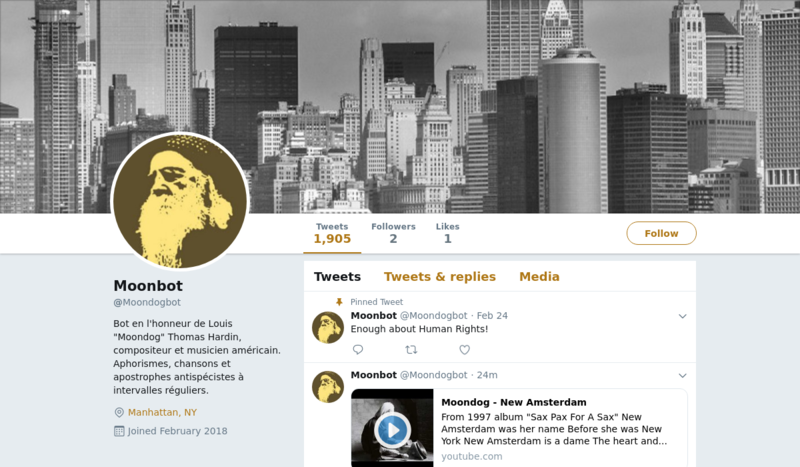 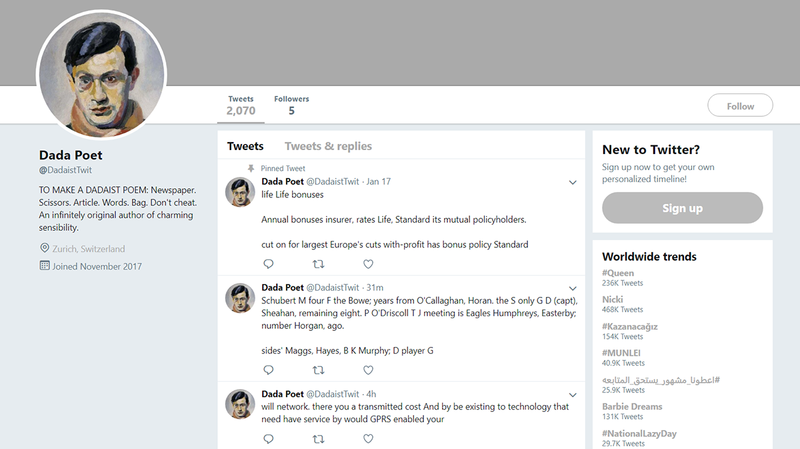 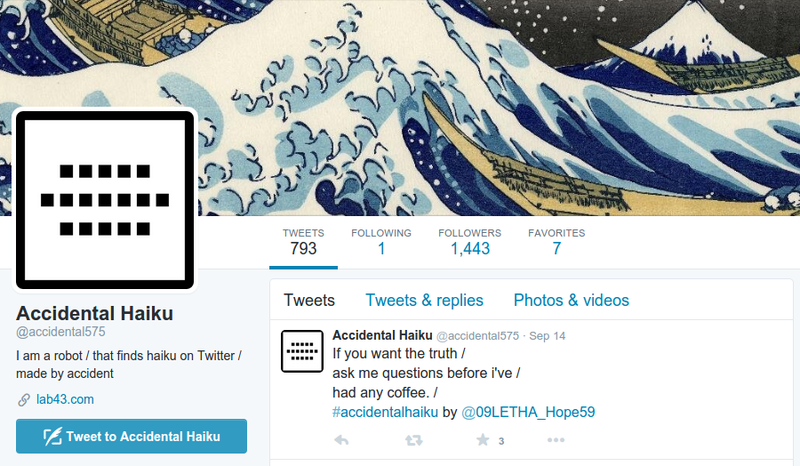 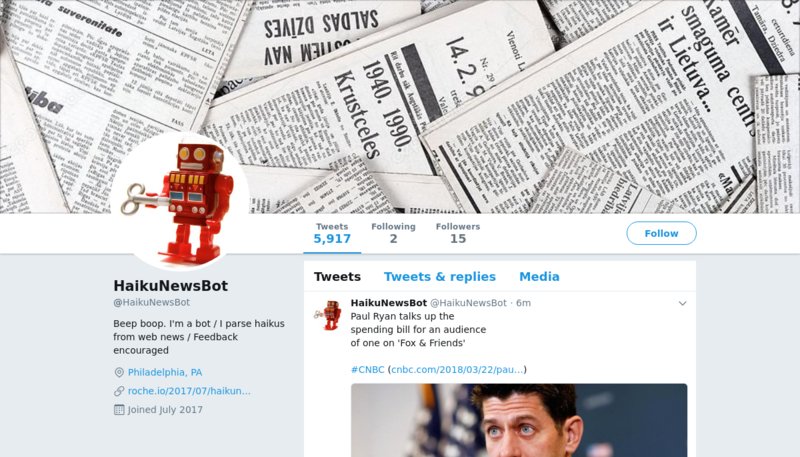 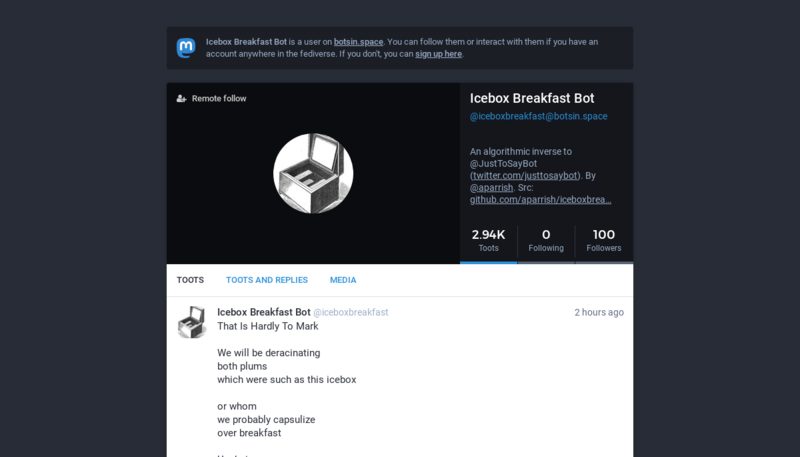 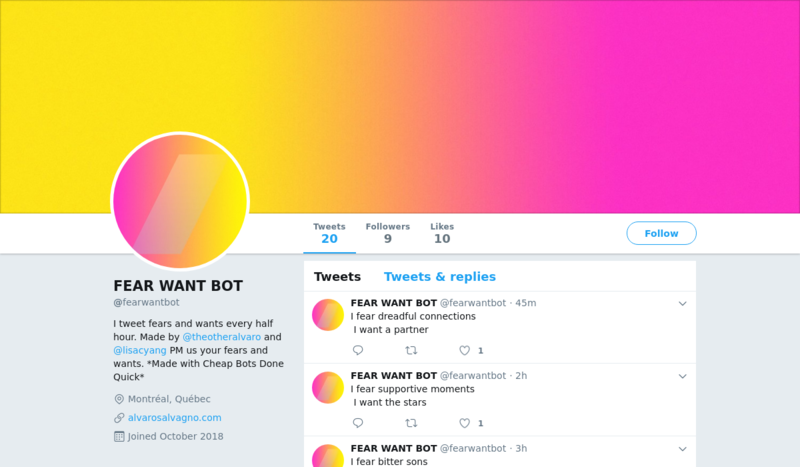 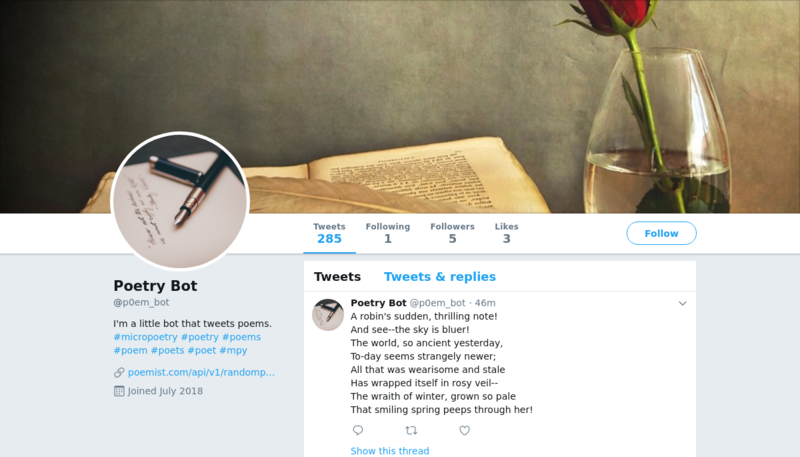 A bot that writes lugubrious and morose poetry. 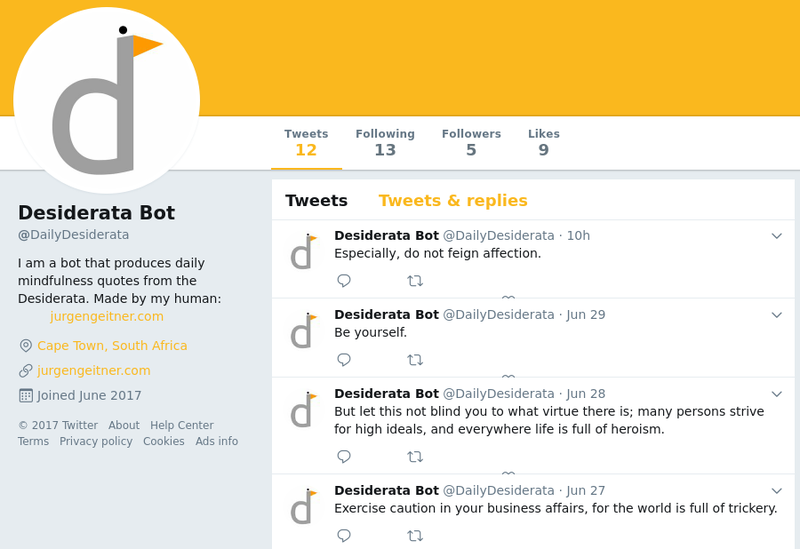 Hippy bot that produces daily mindfulness quotes from the Desiderata. 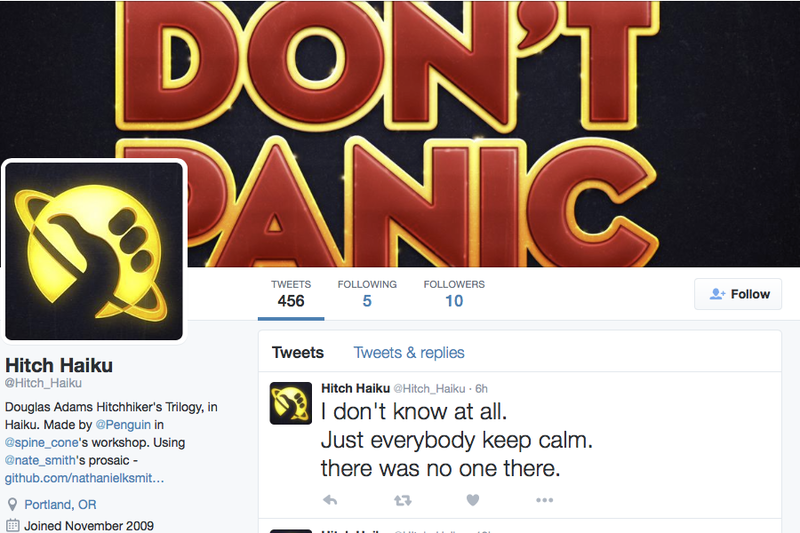 Douglas Adams Hitchhiker's Trilogy, in Haiku. 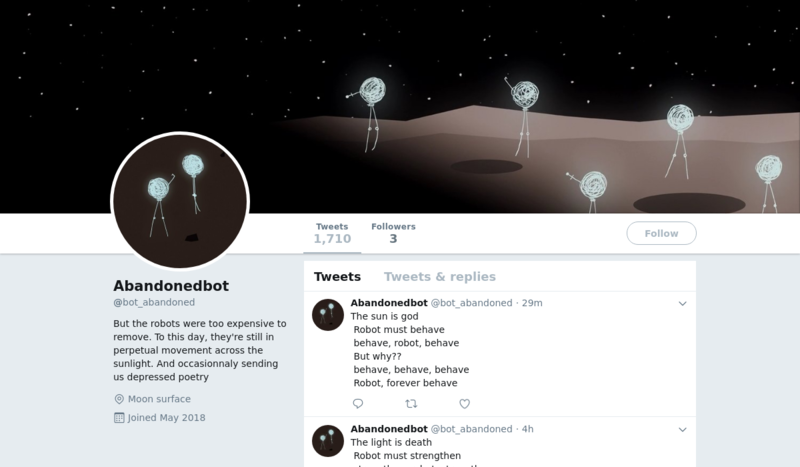 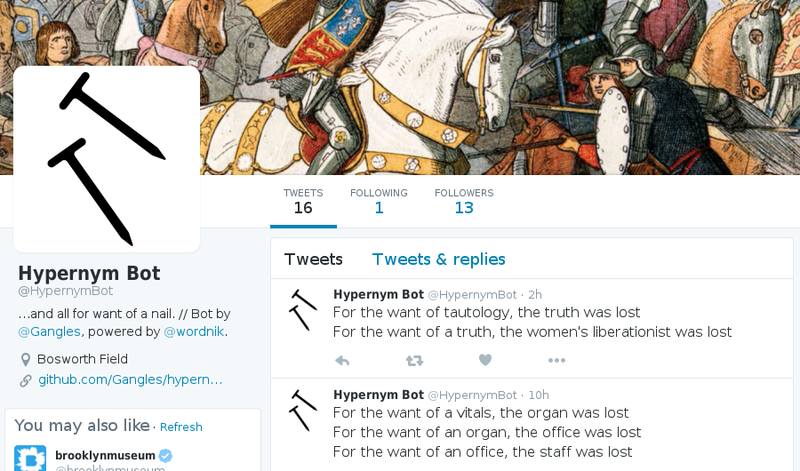 A bot that creates poems based on hypernyms. 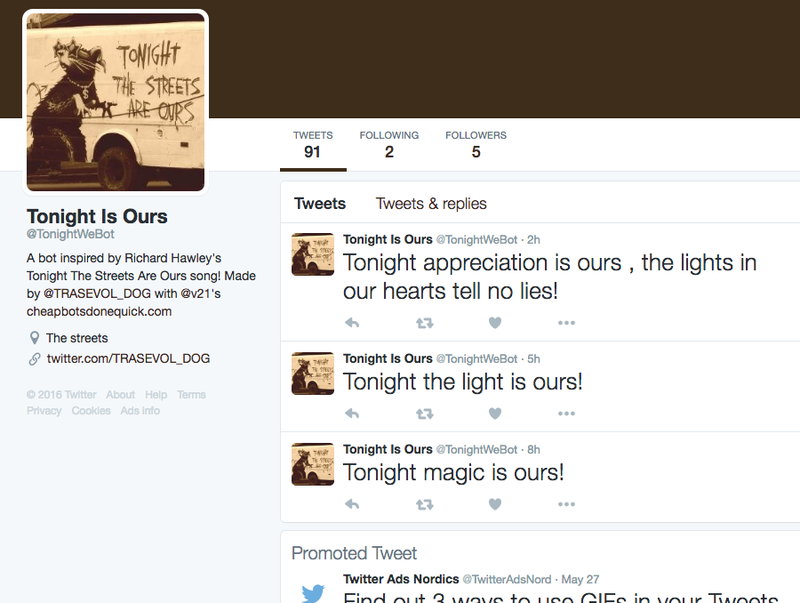 Tonight the streets are ours! 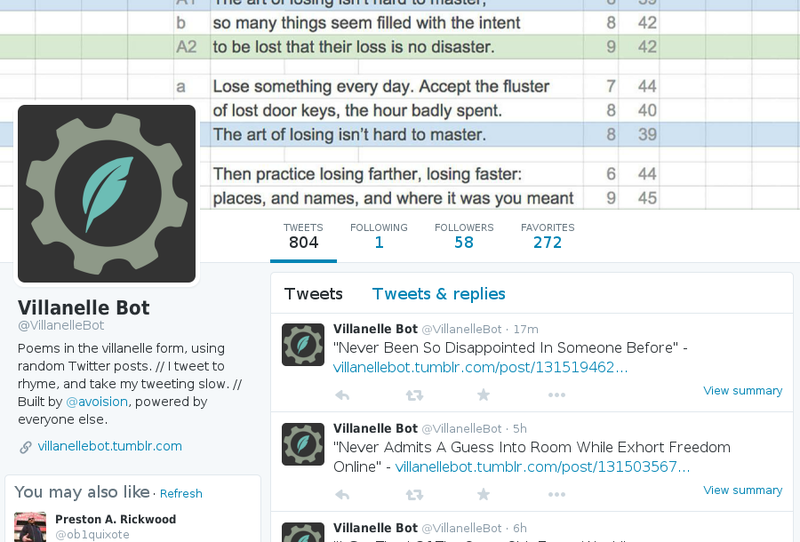 Poems in the villanelle form, using random Twitter posts.